Substantial evidence indicates that psychosocial stress contributes to hypertension and cardiovascular disease (CVD). 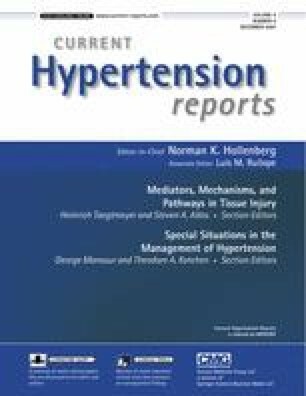 Previous meta-analyses of stress reduction and high blood pressure (BP) were outdated and/or methodologically limited. Therefore, we conducted an updated systematic review of the published literature and identified 107 studies on stress reduction and BP. Seventeen trials with 23 treatment comparisons and 960 participants with elevated BP met criteria for well-designed randomized controlled trials and were replicated within intervention categories. Meta-analysis was used to calculate BP changes for biofeedback, −0.8/−2.0 mm Hg (P = NS); relaxation-assisted biofeedback, +4.3/+2.4 mm Hg (P = NS); progressive muscle relaxation, −1.9/−1.4 mm Hg (P = NS); stress management training, −2.3/−1.3 mm (P = NS); and the Transcendental Meditation program, −5.0/−2.8 mm Hg (P = 0.002/0.02). Available evidence indicates that among stress reduction approaches, the Transcendental Meditation program is associated with significant reductions in BP. Related data suggest improvements in other CVD risk factors and clinical outcomes. Institute for Natural Medicine and Prevention: Research reviews. Available at: http://www.mum.edu/inmp/researchreviews.html. Accessed August, 2007.